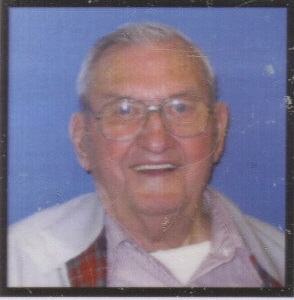 Mathew Smith, 90, died November 12, 2007 at Sanford Health Systems in Sioux Falls. Mathew was born on November 2, 1917 in Lake Preston, South Dakota, where he grew up and attended school. Mathew married Zita Linneman on June 9, 1947 in Estelline, South Dakota. They lived in Sioux Falls for over 50 years. Mathew served as a Sergeant for the 568th Signal Aircraft Warning Battalion. He served in World War II at Ft. Jackson, SC, Hawaii, Saipan, Tinian, Guam, and Iwo Jima. He was a member of Christ The King Church. Mathew is survived by three children, grandchildren and nieces and nephews. He was preceded in death by his parents, wife, Zita, all of his brothers and sisters and a grandson, Thor. Visitation will be Thursday from 5 PM to 8 PM at Barnett-Lewis Funeral Home with family present from 7 PM to 8PM. Funeral Service will be Friday, 10 AM at Barnett-Lewis Funeral Home with burial to follow at Woodlawn Cemetery with Full Military Rites by VFW post #628.